In a town deep in the Florida Everglades, where high school football is the only escape, a haunted quarterback, a returning hero, and a scholar struggle against terrible odds. The loamy black “muck” that surrounds Belle Glade, Florida once built an empire for Big Sugar and provided much of the nation's vegetables, often on the backs of roving, destitute migrants. Many of these were children who honed their skills along the field rows and started one of the most legendary football programs in America. Belle Glade’s high school team, the Glades Central Raiders, has sent an extraordinary number of players to the National Football League – 27 since 1985, with five of those drafted in the first round. The industry that gave rise to the town and its team also spawned the chronic poverty, teeming migrant ghettos, and violence that cripples futures before they can ever begin. 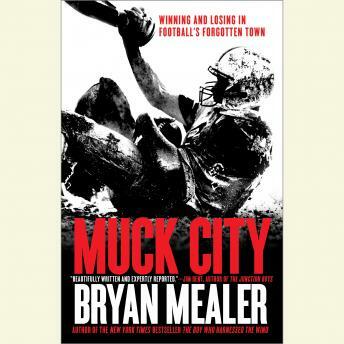 Muck City tells the story of quarterback Mario Rowley, whose dream is to win a championship for his deceased parents and quiet the ghosts that haunt him; head coach Jessie Hester, the town’s first NFL star, who returns home to “win kids, not championships”; and Jonteria Willliams, who must build her dream of becoming a doctor in one of the poorest high schools in the nation. For boys like Mario, being a Raider is a one-shot window for escape and a college education. Without football, Jonteria and the rest must make it on brains and fortitude alone. For the coach, good intentions must battle a town’s obsession to win above all else. Beyond the Friday night lights, this book is an engrossing portrait of a community mired in a shameful past and uncertain future, but with the fierce will to survive, win, and escape to a better life.